Red Hat creates, maintains, and contributes to many free software projects and has also acquired several proprietary software packages and released their source code under mostly GNU GPL while holding copyright under single commercial entity and selling looser licenses. As of February 2009, Red Hat was the largest corporate contributor to the Linux kernel. In 1993 Bob Young incorporated the ACC Corporation, a catalog business that sold Linux and UNIX software accessories. In 1994 Marc Ewing created his own Linux distribution, which he named Red Hat Linux (Ewing had worn his grandfather's red lacrosse hat while attending Carnegie Mellon University). Ewing released the software in October, and it became known as the Halloween release. Young bought Ewing's business in 1995, and the two merged to become Red Hat Software, with Young serving as chief executive officer (CEO). Red Hat went public on August 11, 1999, achieving the eighth-biggest first-day gain in the history of Wall Street. Matthew Szulik succeeded Bob Young as CEO in December of that year. In February 2000, InfoWorld awarded Red Hat its fourth consecutive"Operating System Product of the Year" award for Red Hat Linux 6.1. Red Hat acquired Planning Technologies, Inc in 2001 and in 2004 AOL's iPlanet directory and certificate-server software. 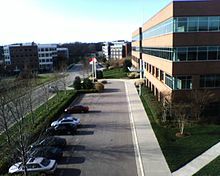 Red Hat moved its headquarters from Durham, NC, to N.C. State University's Centennial Campus in Raleigh, North Carolina in February 2002. In the following month Red Hat introduced Red Hat Linux Advanced Server, later re-named Red Hat Enterprise Linux (RHEL). Dell, IBM, HP and Oracle Corporation announced their support of the platform. Red Hat acquired open-source middleware provider JBoss on June 5, 2006 and JBoss became a division of Red Hat. On September 18, 2006, Red Hat released the Red Hat Application Stack, their first stack that integrates the JBoss technology and of which is certified by other well-known software vendors. On December 12, 2006, Red Hat moved from NASDAQ (RHAT) to the New York Stock Exchange (RHT). In 2007 Red Hat acquired MetaMatrix and made an agreement with Exadel to distribute its software. On March 15, 2007, Red Hat released Red Hat Enterprise Linux 5, and in June acquired Mobicents. On March 13, 2008, Red Hat acquired Amentra, a provider of systems integration services for service-oriented architecture, business process management, systems development and enterprise data services. Amentra operates as an independent Red Hat company. On July 27, 2009, Red Hat replaced CIT Group in Standard and Poor’s 500 stock index, a diversified index of 500 leading companies of the U.S. economy. This has been reported as a major milestone for Linux. On December 15, 2009, it was reported that Red Hat will pay $8.8 million to settle a class action lawsuit related to the restatement of financial results from July 2004. The suit had been pending in a U.S. District Court in North Carolina. Red Hat reached the proposed settlement agreement and recorded a one-time charge of $8.8 million for the quarter that ended Nov. 30. The agreement is pending court approval. 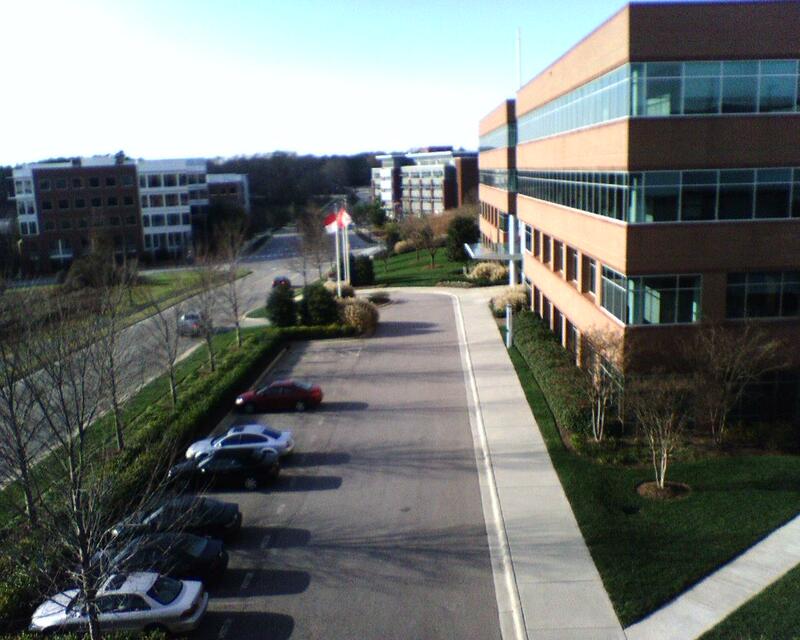 On January 10, 2011, Red Hat announced that it would expand its headquarters in two phases, adding 540 employees to the Raleigh operation. The company will invest over $109 million. The state of North Carolina is offering up to $15 million in incentives. The second phase involves "expansion into new technologies such as software virtualization and technology cloud offerings". On August 25, 2011, Red Hat announced it would move about 600 employees from the N.C. State Centennial Campus to Two Progress Plaza downtown. Progress Energy plans to vacate the building by 2012 if its merger with Duke Energy is completed. Red Hat also plans to rename the building. Red Hat sponsors the Fedora Project, a community-supported open-source project which aims to promote the rapid progress of free and open-source software and content. Fedora aims for rapid innovation using open processes and public forums. The Fedora Project Board, which comprises community leaders and representatives of Red Hat, leads the project and steers the direction of the project and of Fedora, the Linux distribution it develops. Red Hat employees work with the code alongside community members, and many innovations within the Fedora Project make their way into new releases of Red Hat Enterprise Linux. Red Hat sells subscriptions for the support, training, and integration services that help customers in using open-source software. Customers pay one set price for unlimited access to services such as Red Hat Network and up to 24/7 support. Red Hat engineers work with the One Laptop per Child initiative (a non-profit organization established by members of the MIT Media Lab) to design and produce an inexpensive laptop and provide every child in the world with access to open communication, open knowledge, and open learning. The XO-1 laptop, the latest machine of this project, runs a slimmed-down version of Fedora as its operating system. Red Hat sponsors Mugshot, an open project building "a live social experience" based on entertainment. It refocuses technological thinking from objects (files, folders, etc.) to activities, like web browsing or music sharing. These topics form the focus of the first two features in Mugshot, Web Swarm and Music Radar. These had already started before the announcement of the project at the 2006 Red Hat Summit. The original Mugshot instance hosted by Red Hat has been removed, and mugshot.org redirects to Red Hat's website. Dogtail, an open-source automated graphical user interface (GUI) test framework initially developed by Red Hat, consists of free software released under the GNU General Public License (GPL) and is written in Python. It allows developers to build and test their applications. Red Hat announced the release of Dogtail at the 2006 Red Hat Summit. Red Hat Enterprise MRG (Messaging, Real-time, and Grid) replaces the RHEL kernel in order to provide extra support for real-time computing, together with middleware support for message brokerage and scheduling workload to local or remote virtual machines, grid, and cloud infrastructures. Red Hat now works with the Condor High-Throughput Computing System community and also provides support for the software. Red Hat produces the online publication opensource.com. It brings together issues of interest from the open source community, highlighting how open source principles apply beyond software and technology. It covers topics such a business, education, government, law, health, and life, updates readers on public licensing and the Creative Commons, and it features interviews with some industry leaders and open source people. The company originally produced a newsletter called Under the Brim. Wide Open magazine first appeared in March 2004 as a means for Red Hat to share technical content with subscribers on a regular basis. The Under the Brim newsletter and Wide Open magazine merged in November 2004 to become Red Hat Magazine. Red Hat Magazine later became opensource.com. In 2007 Red Hat announced that it had reached an agreement with some free software and open source (FOSS) companies that allowed it to make a distribution portal called Red Hat Exchange, reselling FOSS software with the original branding intact. Red Hat has some employees working full time on free and open source software projects, such as two full-time employees working on the free software radeon (David Airlie and Jerome Glisse) and one full-time employee working on the free software nouveau graphic drivers. systemtap (tracing tool for Linux kernels, developed in collaboration with IBM, Hitachi, Oracle and Intel. The Red Hat web site lists the organization's major involvements in free and open-source software projects. the Pulp application for software-repository management. Red Hat, Inc created its subsidiary Red Hat India to deliver Red Hat software, support, and services to customers in India. Colin Tenwick, vice president and general manager of Red Hat EMEA said that "the opening of [Red Hat India] is in response to the rapid adoption of Red Hat Linux in the subcontinent... Demand for open source solutions from the Indian markets is rising and Red Hat wants to play a major role in this region". Red Hat India has worked with local companies to enable adoption of open source technology in both government and education. Red Hat India says it currently has a distribution network of more than 70 channel partners spanning 27 cities across India . Red Hat India's key channel partners include Efensys Technologies, Embee Software, Allied Digital Services, and Softcell Technologies. Key distributors listed by it include Integra Microsystems, Ingram Micro, GT Enterprises, and Sonata Software. Red Hat's first major acquisition was Delix Computer GmbH-Linux Div, the Linux based operating system division of Delix Computer, a German computer company, on July 30, 1999. Red Hat acquired Cygnus Solutions, a company that provided commercial support for free software, on January 11, 2000. Michael Tiemann, co-founder of Cygnus, served as the chief technical officer of Red Hat after the acquisition. On June 5, 2006, Red Hat acquired open source middleware provider JBoss for $420 million and integrated it as its own division of Red Hat. On December 14, 1998, Red Hat made its first divestment, in which parts of the company are sold to another company, when Intel and Netscape acquired an undisclosed minority stake. The next year, on March 9, 1999, Compaq, IBM, Dell and Novell each acquired undisclosed minority stakes in Red Hat. The company's largest acquisition was Cygnus Solutions in January 2000 for $674 million. Red Hat made the most acquisitions in 2000 with five: Cygnus Solutions, Bluecurve, Wirespeed Communications, Hell's Kitchen Systems, and C2Net. 1 - Delix Computer GmbH-Linux Div was acquired from Delix Computer. 2 - Netscape Security-Certain Asts was acquired from Netscape Security Solutions. 3 - Intel Corporation acquired a minority stake in Red Hat. 4 - Compaq acquired a minority stake in Red Hat. 5 - IBM acquired a minority stake in Red Hat. 6 - Novell acquired a minority stake in Red Hat. Red Hat's main competitors include the companies Canonical Ltd., IBM, Mandriva, Microsoft, Novell, and Oracle Corporation, along with the communities of Debian and FreeBSD.